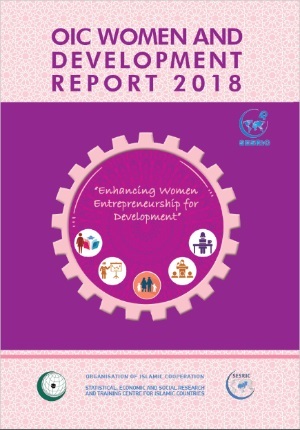 SESRIC launched the 2018 Edition of the OIC Women and Development Report on the theme ‘Enhancing Women Entrepreneurship for Development’ at the 7th Session of the Ministerial Conference on Women’s Role in the Development of the OIC Member States that took place in Burkina Faso on 30th November and 1st December 2018. Using recent sets of quantitative and qualitative data, the Report aims to comparatively assess the state of women in OIC countries and identify key challenges faced by women in their economic and social life. The report dedicates a special section to women entrepreneurs in OIC countries and the world. It highlights structural obstacles that affect a woman’s decision to undertake entrepreneurial activities and the importance of encouraging women’s participation in entrepreneurial activities. The report concludes with a set of policy implications on overcoming specific challenges faced by women in OIC countries.